What’s in a name? Plenty, and Koma Unwind is the name of the beverage at hand. 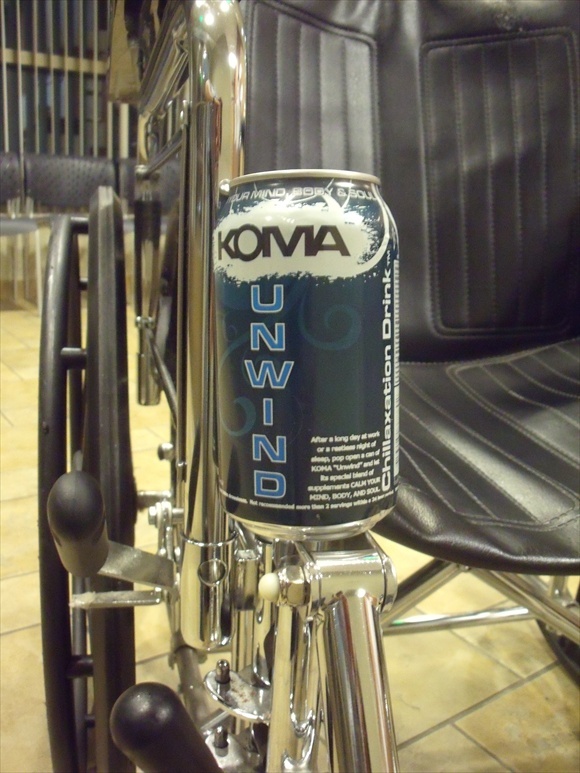 Koma Unwind is a relaxation beverage that recently hit stores. Relaxation beverages are a relatively new addition to the lifestyle beverage market, and I haven’t been impressed with the few I’ve tried. Drinks like Lean and Sippin’ Syrup have been the beverage equivalent of aluminum encased regurgitation in my opinion, and I have been all but turned off to trying anything similar. Perhaps this time will be different. With an open mind I grab my already chilled can and scan the blue and silver label. “Calm your mind, body, and soul” is written at the top, a rather inviting phrase to be sure. That phrase is mitigated somewhat by the slightly corny “chillaxation beverage” written in bold letters next to the ingredients list. A brief synopsis about what Koma Unwind is printed in a conspicuous location and I will repeat verbatim now: “After a long day at work or restless night of sleep, pop open a can of Koma ‘Unwind’ and let it’s special blend of supplements CALM YOUR MIND, BODY, AND SOUL.” As a side note I did not add the capital letters. The ingredients include HFCS, grape juice, and gum acacia. I do find it ironic that a relaxation beverage is made with HFCS. What’s in store for me now? Only one way to find out, drink some! So I open the top and a slight grape smell greets the air holes of my nose. The smell isn’t bad or cheap, and leads me to take a stout gulp. An above average grape taste explodes in my moth like pyrotechnics. Eagerly I take another gulp which delivers another uppercut of delicious taste. The carbonation stays constant and adds to the overall experience. A slight aftertaste is left but that isn’t a big deal to me. Sip after sip of yum juice is sent home until the can is finished. After some thought I am willing to admit that I am impressed with Koma Unwind. On its own it provides great taste and delivers some calming effect to help take the edge off. Compared to the other relaxation beverages on the market it is in a class of its own. Final review: Buy a six pack! Koma Unwind is good buy, even for the catatonic.